Are you trying to lose a couple of pounds? Try eating bananas everyday! That’s what Yulia Tarabath decided to do. Bananas are a great source of nutrients. They can help improve vision, increase weight loss, relivehypertension, and much more. 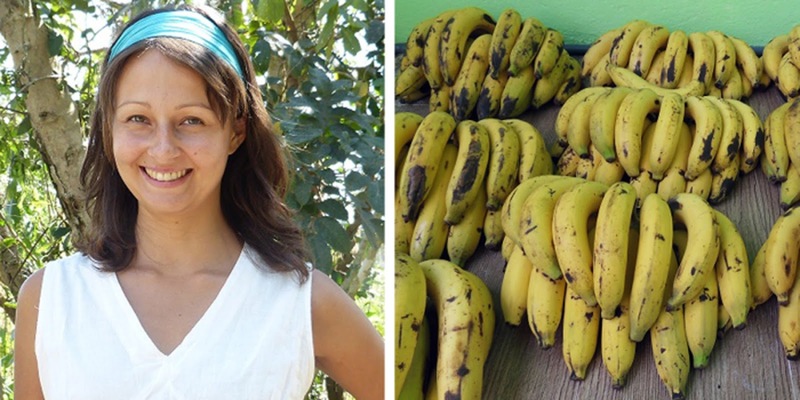 Yulia ate nothing but bananas for 12 straight days. She drank plenty of water, got ample amounts of rest, and exercised regularly. This type of diet is known as “mono-fruiting.” She claims she noticed in improvement in her overall emotional and physical health. The first thing she said she noticed was an improvement in her digestion and that she no longer experienced stomach pains. She also said she began to feel very relaxed and stress free. This means she was able to focus on her passions and creativity. Other than just noticing health improvements, she also noticed that some of her previous aliments began to go away. See for yourself in her video below!